Name my Parrot - example conte..
Post your suggestions for the name for my parrot! 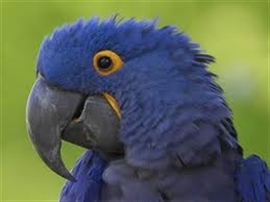 Blue Quaker Parrot: Female ..
Name ideas for a gift shop? I’m starting my own gift shop in East Village, NYC. I’m having trouble finding a..
New bridge crossing river Tham.. 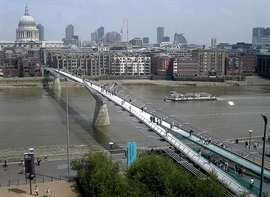 The new bridge is a steel suspension bridge for pedestrians crossing the River T.. Hold name contests with 20 or 20000 participants. Describe the requirements, add a logo and photos, customize contest layout, offer prizes, apply custom terms. Why hold a contest here? By focusing distinctly on name contests, we ensure that there are no distracting options or features. Just fill a simple form and have a contest up and running in a matter of minutes. The contest management dashboard lets you easily handle 20 or 20000 contestants. Participants can submit, discuss and vote for entries, contests can have multiple phases and voting rounds. 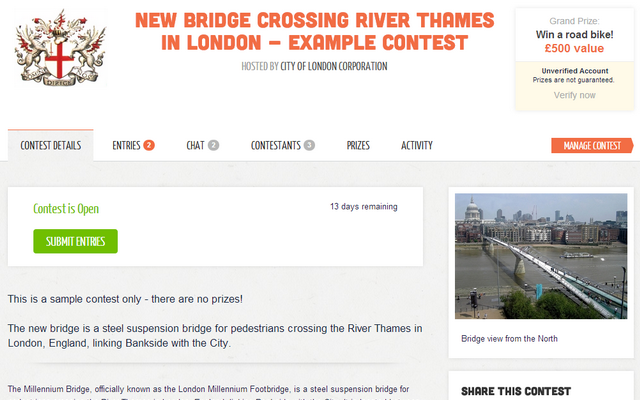 During the contest, you can post messages to all participants to the activity wall. Holding name contests enables engaging social audiences and helps to promote new products. Marketing professionals know, that a successful contest can attract thousands of customers. Our platform is focused on maximizing engagements and social sharing. Custom branding, use of logos and photos, Facebook and Twitter integration help drive interest in the contest holder's brand. Data export enables further communication with participants after the contest has been closed. When a contest has prizes - which are optional - participants expect assurance that the person or organization holding the contest is real. Our built-in verification system provides that additional level of transparency. Accounts can be verified with Facebook Connect, Twitter and email. Verified accounts give the participants added confidence that the advertised prizes will actually be delivered. 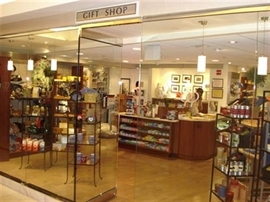 Details of award delivery can be specified in custom Contest Terms.